KATHMANDU, Nov 29: While the reconstruction across the nation has been picking up pace, the reconstruction of private houses inside the Kathmandu Valley has not shown satisfactory progress even three and half years after the devastating earthquakes of 2015. The beneficiaries of the private housing grant in the Kathmandu Valley have not shown satisfactory progress in building their houses. Data from the National Reconstruction Authority (NRA) show that only 39 percent of the total beneficiaries of the private housing grant in the Valley have started building their houses, which is almost half of the national average of 77 percent. Altogether 94,458 households in the Valley have been listed as the beneficiaries of the private housing grant provided by the NRA. Out of this, only 37,290 have started reconstructing their houses so far. In total, there are 812,161 beneficiaries of the grant across the nation out of which 561,534 have already started rebuilding their houses. The number of households that have completed reconstruction of their houses too shows a similar trend. Forty-three percent of the beneficiaries across the nation have already completed reconstructing their houses while only 20 percent of them in the Valley have been able to do so. Meanwhile, 18,572 households in the Valley have completely reconstructed their houses while 318,073 households nationwide have completed the reconstruction of their houses. NRA officials claim that the slow pace of reconstruction in the Valley is a result of various problems in the Valley. 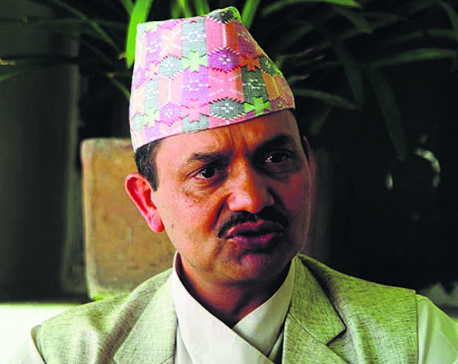 According to the deputy spokesperson of NRA, Manohar Ghimire, there are a series of problems that hinder the reconstruction in the urban areas of the Valley. He claimed that the major hindrance in the reconstruction process in the valley was the difficulty to demolish the houses affected by the catastrophic quakes. Ghimire added that another major problem that has slowed down the reconstruction process in the Valley is the need for more funds in comparison to other places for the construction of houses.